Artworks have been selected for the first juried exhibit of women’s art at the new 3rd On 3rd Gallery in downtown Jamestown, New York. 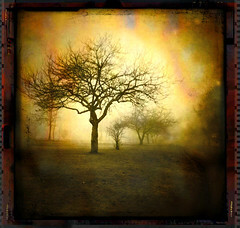 One of the works on display from February 11 through March 31 will be this photo, “Golden Tree,” by Catherine Panebianco of Jamestown. Jamestown, NY – The artwork has been studied, the applications reviewed, and the decisions made: of more than 140 submissions, the works of 41 artists have been selected for the first juried Women Create exhibit in Jamestown, New York. The artists bring a wide range of experience, from a high school student through professional working artists, and include college students, art teachers, and hobbyists. With the February 11-March 31 show intended to feature the work of local and regional women, the preponderance of artists come from throughout western New York. These include: Anne Conroy-Baiter, Allegany; Pam Drellow and Renee Pye, Bemus Point; Kaitlin Frisicaro, Cheektowaga; Sara Skillman, Dewittville; Karen Fitzpatrick, Ellicottville; Bonnie Jo Wilcox, Falconer; Jill Johnston and Sue McNamara, Fredonia; Medis Kent, Findley Lake; Jil St. Ledger-Roty, Franklinville; Judith Whittaker, Frewsburg; Marilyn Martin, Gerry; Diane Knight and Kathleen Lell, Glenwood; Kellyn Baron, Stephanie Burdo, Emma Duncanson, Tara Eastman, Sandra Ecklund, Kyla Hill, Janicemarie McDonald, Patricia Micciche, Catherine Panebianco and Maddie Schlick, Jamestown; Bethany Bjork, Jenny Brown and Jennifer Janowsky, Lakewood; Barbara Fox, Little Valley; Ann Parker, Machias; Jennifer Miller, Olean; Cristy Johnson and Kathleen Tenpas, Panama; and Megan Brown, Karen Eckstrom and Amy Vena, Rochester. Artist Hiromi Katayama is from Edinboro, and Toni Kelly, Victoria Norvaisa, Jodi Staniunas Hopper are from Erie, Pennsylvania. Sandy Shelenberger is from Conneaut, Ohio. The exhibit features a wide range of art and fine crafts in a variety of media. Presented in cooperation with the Arts Council for Chautauqua County, the exhibit will open on Saturday, February 11, 2012, at Jamestown’s new 3rd On 3rd Gallery. Women Create will be the gallery’s first major juried show and the second major group/multi-artists show since it opened last year. The 3rd on 3rd Gallery is at 116 East Third Street, adjacent to the Reg Lenna Civic Center. Women Create was conceived and designed by Jamestown artists Debra Eck and Jennifer Schlick, the founders of Creative Arts of Women – Western New York (CAW WNY).